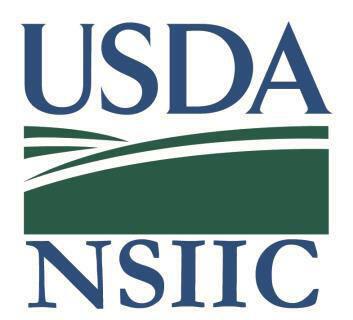 The 14th annual Center of the Nation NSIP Sale will be held Saturday, July 27, 2019 at the Clay County Fairgrounds in Spencer, IA. Make plans now to attend the educational sessions, network will fellow sheep producers and take home some genetics that can improve the productivity and profitability of your flock. Blocks of rooms have been arranged at the Holiday Inn Express (712)580-2200 and the AmericInn (712)262-7525 under “National Sheep Improvement Program”. Check back shortly for consignment and sale information! New this year, the United Suffolk Sheep Association will be hosting a 2-day educational event at the Fairgrounds on Friday and Saturday. Check their website for more information! The 13th annual Center of the Nation NSIP Sale was held July 28, 2018 at the Clay County Fairgrounds in Spencer, IA. This sale was our largest sale to date and sheep were sold into 16 different states. View the sale summary below for a list of breed averages and highlights of each breed. If you can’t make it to the sale, you can view and bid online at DV Auctions here. If you have any questions, please contact Rusty Burgett at info@nsip.org or 515-708-8850.